The "Tibetan Question," the nature of Tibet's political status vis-à-vis China, has been the subject of often bitterly competing views while the facts of the issue have not been fully accessible to interested observers. While one faction has argued that Tibet was, in the main, historically independent until it was conquered by the Chinese Communists in 1951 and incorporated into the new Chinese state, the other faction views Tibet as a traditional part of China that split away at the instigation of the British after the fall of the Manchu Dynasty and was later dutifully reunited with "New China" in 1951. 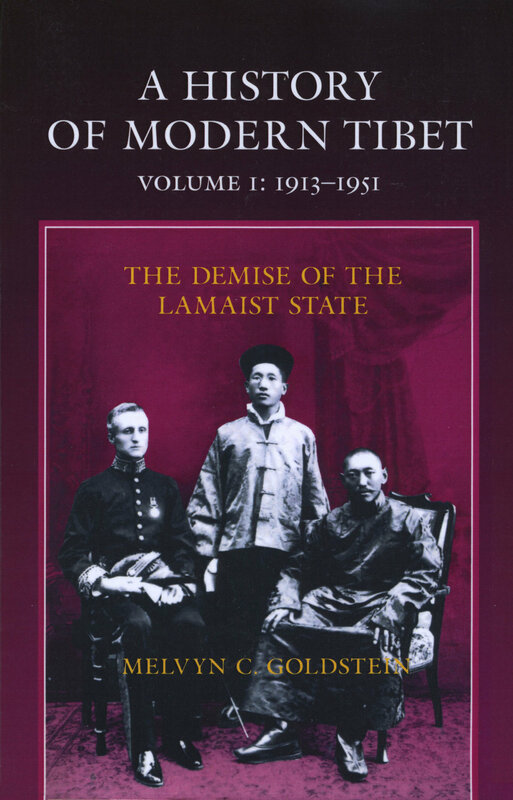 In contrast, this comprehensive study of modern Tibetan history presents a detailed, non-partisan account of the demise of the Lamaist state. Drawing on a wealth of British, American, and Indian diplomatic records; first-hand-historical accounts written by Tibetan participants; and extensive interviews with former Tibetan officials, monastic leaders, soldiers, and traders, Goldstein meticulously examines what happened and why. He balances the traditional focus on international relations with an innovative emphasis on the intricate web of internal affairs and events that produced the fall of Tibet. Scholars and students of Asian history will find this work an invaluable resource and interested readers will appreciate the clear explanation of highly polemicized, and often confusing, historical events. b>Melvyn C. Goldstein is Professor and Chairman of the Department of Anthropology, Case Western Reserve University, and co-author of Nomads of Western Tibet (California 1990).